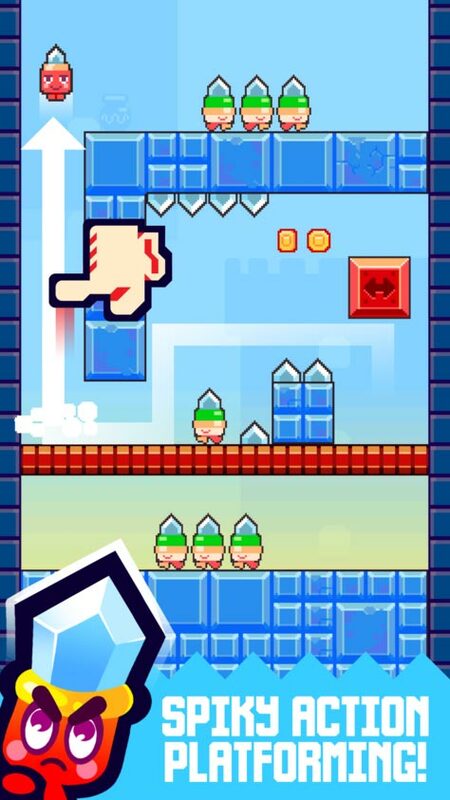 Home #CUTE Spike City – A Spiky Cute Pixelated Adventure! 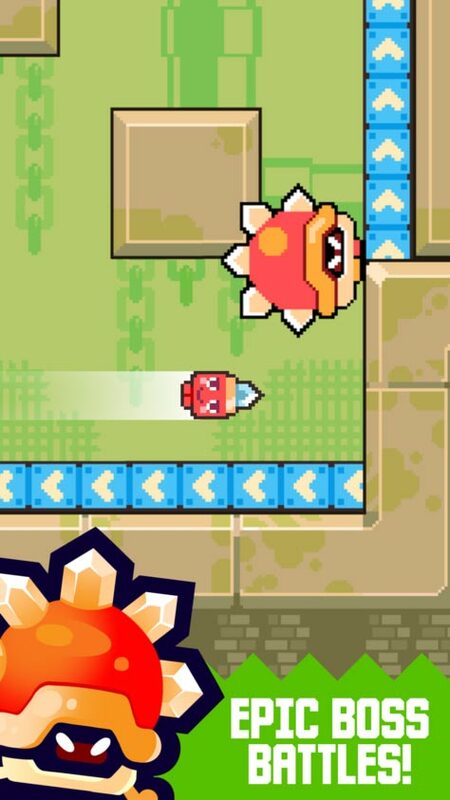 Spike City – A Spiky Cute Pixelated Adventure! 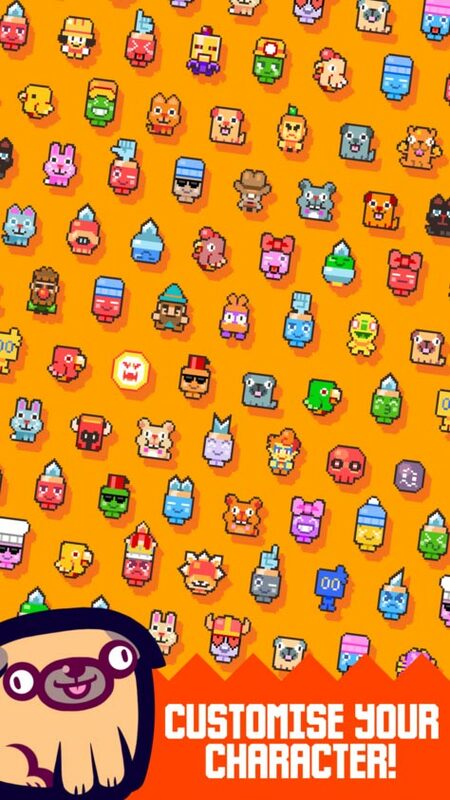 We’re a little late this time, but have you checked out Spike City?If you follow Nitrome on Twitter – or #gamedev in general – you’ve probably seen a lot of Tweets about this game before it was even released on iOS and Android. Although we are a little late this time, this is our review of Spike City! Spike City! 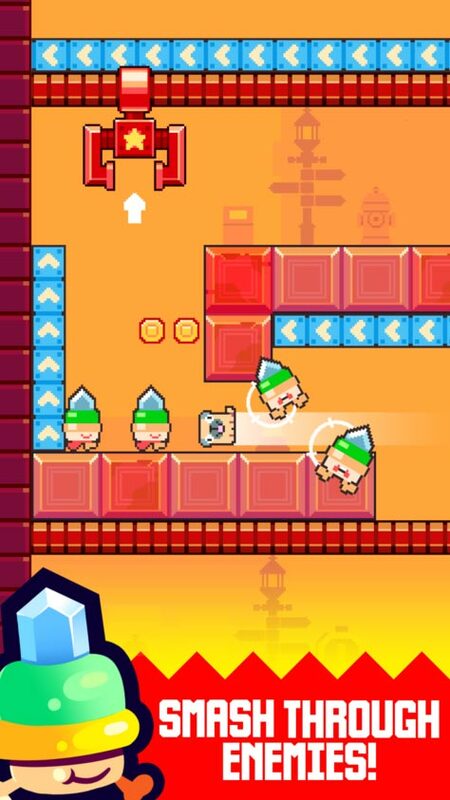 (by Nitrome and Joseph Gribbin) is a simple swipe-based adventure/action game about a spiky little character we just can’t get enough of! 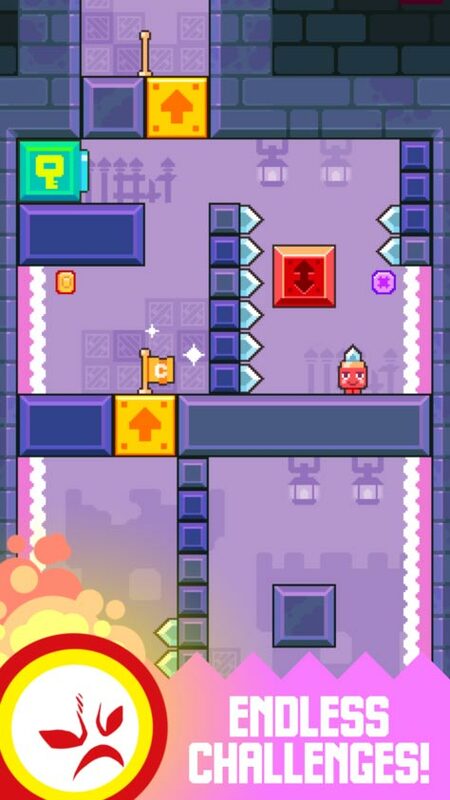 With the same beautifully pixelated design you’ll find in pretty much every game from Nitrome, Spike City! is played by swiping Up, Down, Left, or Right in order to shoot your spiky character around the stage. With 2 main game modes – Endless and Levels – Endless mode is played by speedily shooting your character around simple yet kind of puzzling stages in order to avoid getting spiked by a constantly rising death line! With a similar overall feel to a game you may or may not remember, Tomb of the Mask (by Happymagenta), if you enjoyed playing this game, you will love the endless mode in Spike City! Levels mode is a little more complex and actually requires you to think a little bit about the order in which you do things. Centered around getting from the start to the end of a puzzling stage, this mode actually features checkpoints and 3 purple coins that must be collected in order to unlock new items you can use to customize your character(s). With a total of 20 levels split between 5 worlds – each with its own boss battle, Spike City! packs quite a punch when it comes to features! Speaking of features, if you’re the type of player who takes great pride in customizing your character, Spike City! just gets better and better! With over 36 facial expressions for you to choose from, 45 different hats/spikes, 18 body colors, plus 45 characters that can’t be customized for you to unlock, this game is cram packed with all the features you could want! If our maths is correct, there are a total of 29,205 character combinations for you to try out in Spike City!